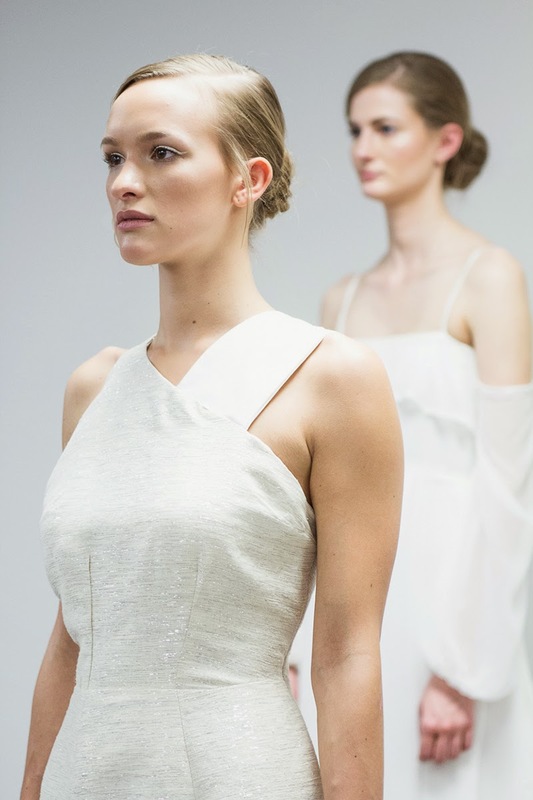 This season I focused on a variation of asymmetric necklines in my Spring 2014 collection. One of my favorite neckline designs has been seen in my collections since 2009. 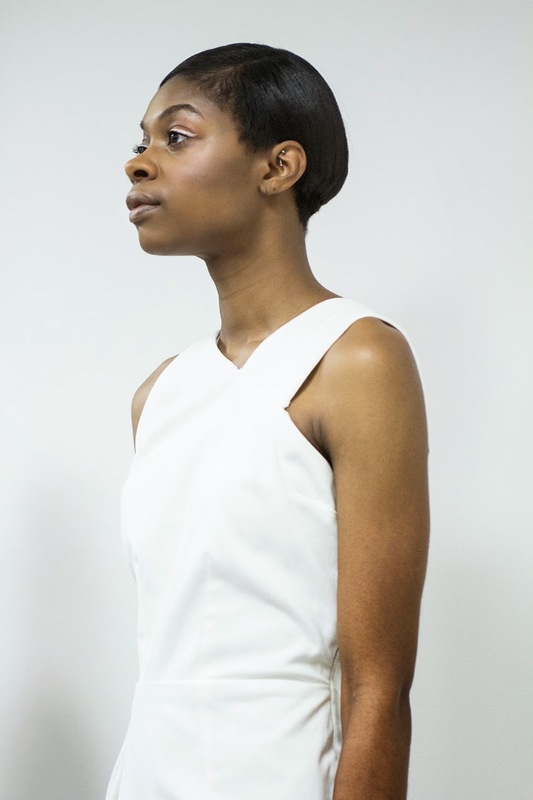 I really love an asymmetric bodice and this season I designed a wide color blocked neckline strap to offset my classic asymmetric bodice design. I’ve always loved a light ruffle flounce on a strapless bodice. In this collection I designed a lightweight tiered chiffon maxi with a ruffle flounce bodice. This maxi was designed with skinny halter ties to emphasize shoulders and collar bones. Continuing the pattern of asymmetric bodices, I designed a wedding dress which had sculpted ruffle flounces. 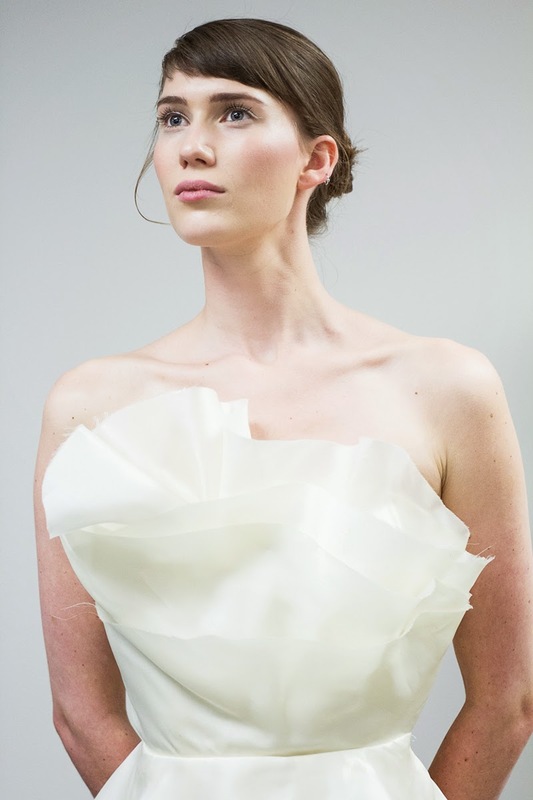 My design focused on unbalanced silk organza tiers with the top flounce reaching higher on the right side of the neckline.